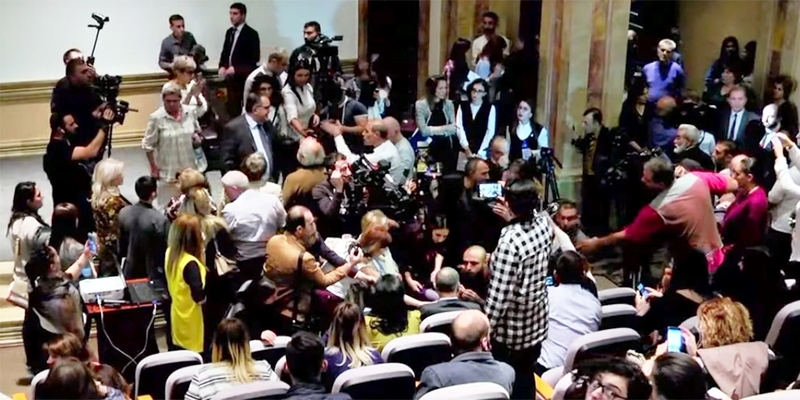 “Foreign emissaries are working with Armenian youth to propagate perversion under the pretext of the law against domestic violence,” says the president of “Pan Armenian Parental Committee” Arman Boshyan. It must be noted, that by saying perversion he means LGBT people. Another media outlet, nyut.am, links the law against domestic violence with LGBT people because the advocates of the law are the organizations which work in the sphere or support LGBT human rights.